Service Integration And Management (SIAM) is a way of ensuring seamless delivery of service to your end users by utilising multiple IT service providers, working to a common framework. But what is it? Where did it come from? Does it work? What, when you get right down to it, is it? 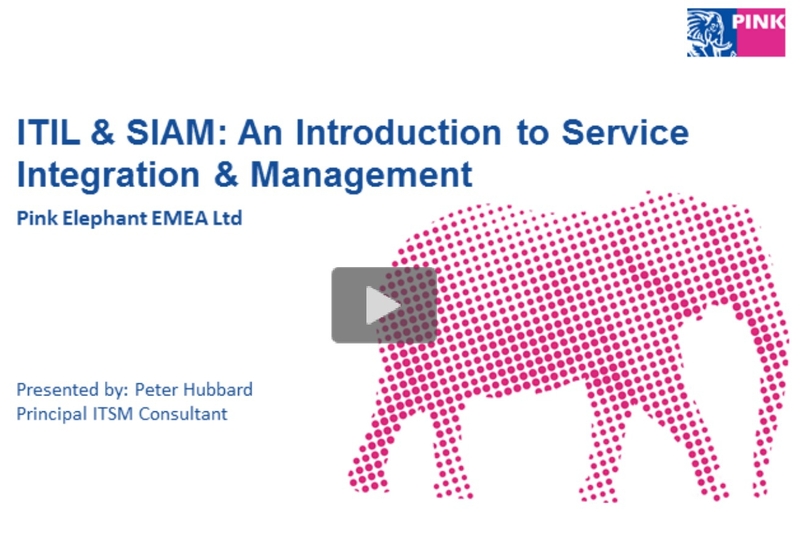 Join Peter Hubbard from Pink Elephant as he provides an overview of SIAM, how it works, how it integrates with other bodies of ITSM knowledge such as ITIL, and tips and tricks for successfully implementing it.